Remarkable advances in technologies that enable the distribution and use of information encoded as digital sequences of 1s or 0s have dramatically changed our way of life. Adolescents, old enough to master the technologies and young enough to welcome their novelty, are at the forefront of this “digital revolution.” Underlying the adolescent's eager embracement of these sweeping changes is a neurobiology forged by the fires of evolution to be extremely adept at adaptation. The consequences of the brain's adaptation to the demands and opportunities of the digital age have enormous implications for adolescent health professionals. Students receiving special-education services for behavioral disorders and those with more obvious disabilities are more likely to be bullied than their general-education counterparts - and are also more likely to bully other students, a new study shows. Two sharply different studies released this week offered glimpses into teenagers’ attitudes about their lives online. McAfee, the security company, said the teenagers that it spoke to were leery of too much parental vigilance. Two out of three teens said their parents did not need to know everything about their online travels, and half said they would amend their behavior online if they knew their parents were watching. In the other study, Common Sense Media, a San Francisco-based nonprofit that helps parents navigate new technologies aimed at children, concluded that texting, tweeting, and checking a social network had become part of an American teenager’s daily rhythm, and on balance, represented a good influence in their lives. Half of the teenagers in the study said social networking had mainly helped their friendships, while only 4 percent said it had mainly hurt their friendships, and more than one in four said that social networking made them feel more outgoing. But, most telling of all was that teens’ frustrations with digital distractions are a lot like those of some adults. Nearly half of those in the study said they wished they could “unplug” sometimes. More telling, one in five wished their parents could too. Nearly six out of 10 U.S. parents of children ages 8 to12 (a.k.a. "tweeners" or tweens) have provided those children with cell phones. And many parents are paying more than they expected to for phone service, according to the National Consumers League, which conducted a survey this past June that queried 802 parents. The survey showed that the top reasons parents had for buying phones for this age group are safety (84 percent), tracking a child's after-school activities (73 percent), and that the child asked for one (16 percent.) As for what kinds of phones parents are buying for their tweens: A perhaps surprisingly low 4 percent got a basic phone with no Web or texting ability. About half of tweens received a basic phone with texting; 20 percent got a basic phone with texting and Web access. And a lucky 27 percent got a smart phone. No surprise is that 82 percent of parents said that the price of the cell phone service was an important part of their decision. And 92 percent of parents said they spend less than $75 a month on their tween's cell phone service. But this study also found that parents in a third of households earning under $50,000—and a quarter of households overall—were taken by surprise at how much the tweens' phones are costing them. Some solutions being explored by parents include checking into parental controls offered by carriers to control costs, setting monthly budgets for kids, getting rid of the phone altogether, or switching to prepaid or postpaidunlimited plans. In a finding that might surprise a lot of parents who are considering getting a phone for their 8-to-12-year-olds, only 16 percent of parents reported conflicts with their kids over phone use. And fewer than one in 10 parents reported that the child's phone use intruded on family time or distracted from school work. Only 3 percent of parents reported improper use of a cell phone, as in sexting or cyberbullying. Finally, 89 percent of parents of tweens who bought cell phones for their child have no regrets. Source: Survey: Majority of 'tweeners' now have cell phones, with many parents concerned about cost [National Consumers League] If you're searching for the best phone for your tween or yourself, check our free mobile-phone buying guide at Consumer Reports.org. And be sure to read our story, "Buying a child's first cell phone: 5 reasons to think prepaid" for more guidance. "Text messaging has become the primary way that teens reach their friends, surpassing face-to-face contact, email, instant messaging and voice calling as the go-to daily communication tool for this age group. However, voice calling is still the preferred mode for reaching parents for most teens." Mean kids, mothers tell their wounded young, behave that way because they have unhappy home lives, or feel inadequate, or don’t have enough friends or because they somehow lack empathy. But a new study suggests some mean kids actually behave that way simply because they can. Albany, NY (July 9, 2012) Governor Andrew M. Cuomo today signed legislation that will help protect students from cyberbullying as well as other forms of harassment, bullying, and discrimination. The new law is designed to strengthen a school's response to harassment and bullying through improved reporting, investigation, intervention, training and prevention. The new law requires schools to take action when students experience cyberbullying or other forms of harassment. It ensures that school districts take immediate steps to end harmful behavior, prevent recurrences, and ensure the safety of the targeted students. The legislation also establishes improved training to help teachers and administrators better prevent and respond to bullying and other harmful acts. "We must do all we can to ensure that every child in New York State feels safe in the classroom, and this new law will help our schools create an environment that is conducive to educational success," Governor Cuomo said. "Under this new law, schools will play an important role – working with families, communities and law enforcement – to prevent harassment, bullying and discrimination, and to support a student's right to learn. I commend Majority Leader Skelos, Speaker Silver, the bill sponsors, and the many advocates who worked hard in helping put this comprehensive bill together." Senate Majority Leader Dean G. Skelos said, "The law signed today tackles many of the challenges currently facing schools and families seeking to put an end to cyberbullying. I commend Senators Saland and Ranzenhofer, Governor Cuomo and the Assembly for coming together to enact legislation that addresses this very complex problem, helps protect our students' emotional well-being, and ensures safe learning environments." Assembly Speaker Sheldon Silver said, "Threats, intimidation, and abuse have no place in our schools. I commend the Governor for signing this bill into law and further empowering school districts to address harmful and hostile acts both on and off school grounds." Senator Stephen Saland said, "Students today live in a cyber-world, it’s how most choose to communicate. 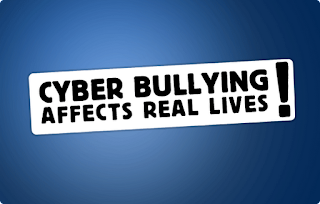 It’s also how many are cyberbullied -- whether through messaging, emails or social networking sites, it’s difficult for victims to escape the 24/7 exposure to threats, bullying or discrimination. With this new law, when cyberbullying impedes a student’s ability to learn, victims and their parents will now have the ability to report the incidents to school districts to investigate. I thank the Governor for his leadership on this issue and Assemblyman O’Donnell for his advocacy. This is a critically needed step toward ensuring a safe school environment." Senator Michael Ranzenhofer said, "Cyber bullying is a 21st century problem that is still being addressed with statutes from the 20th century. It is so critical to revise our approach to this issue, and this new law will help crack down on this serious problem facing our youth. I applaud Governor Cuomo for signing this important legislation into law." Assembly Member Daniel O’Donnell said, "Children cannot succeed when they fear for their safety at school, worry about being bullied or cyberbullied, or suffer discrimination and taunts. Especially given the growing impact of social media on our kids, I offer my heartfelt praise for this expansion of the Dignity for All Students Act and I applaud the Governor for supporting this legislation and making it law in New York State. We owe it to the youth of New York to expand the safety net that surrounds their growth and development." 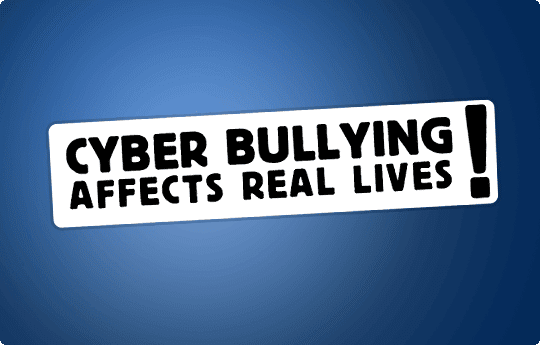 Cyberbullying is an especially harmful form of bullying. 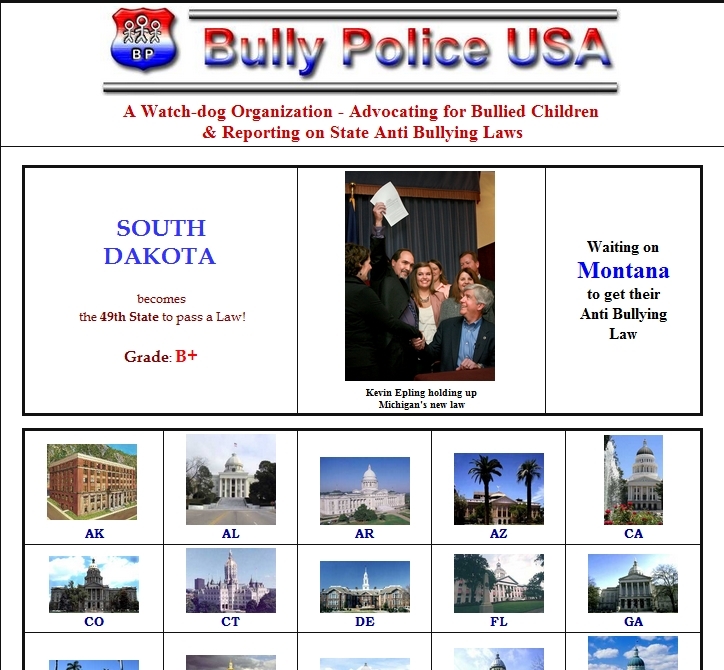 Through the use of technology, bullies are able to harass their targets at a distance, outside of schools, in front of broad audiences and sometimes under the protection of anonymity. 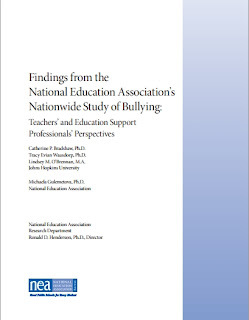 Research has revealed a link between cyberbullying and low self‐esteem, family problems, academic problems, school violence, and delinquent behavior, as well as long-term consequences that include increased depression, substance use, aggressive impulses, and school truancy. Recent well-publicized cases involving cyberbullying – sometimes combined with other forms of bullying – have led to suicide. If left unattended, bullying can rapidly escalate into even more serious violence and abuse. 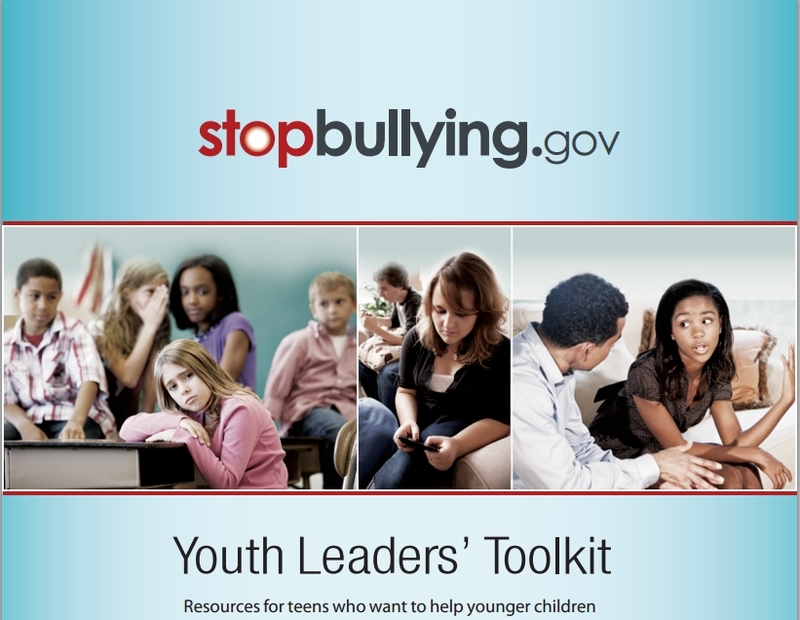 In 2009, more than 7 million U.S. students ages 12-18 – representing 28 percent of all students in that age range – were bullied at school and more than 1.5 million students -- 6 percent – were subject to cyberbullying on or off school property. A 2011 survey of New York high school students revealed that, during the previous year, nearly 18 percent had been bullied on school property and 16 percent had experienced cyberbullying through e-mail, chat rooms, instant messaging, Web sites, texting or other electronic means. 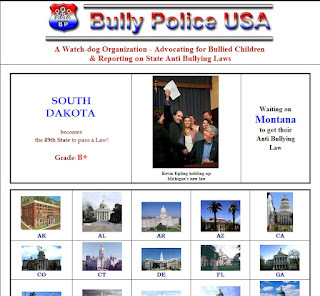 The new law cracks down on cyberbullying through the following provisions: Requires Schools to Act When Cyberbullying Occurs The law requires that schools act in cases of cyberbullying, which may occur on or off campus, when it creates or would create a substantial risk to the school environment, substantially interferes with a student’s educational performance or mental, emotional or physical well-being, or causes a student to fear for his or her physical safety. Ensures Proper Protocols Are in Place to Deal with Cyberbullying The law requires school districts to put in place protocols to deal with cyberbullying, harassment, bullying and discrimination, including assignment of a school official to receive and investigate reports; prompt reporting and investigation; responsive actions to prevent recurrence of any verified bullying; coordination with law enforcement when appropriate; development of a bullying prevention strategy; and notice to all school community members of the school’s policies. 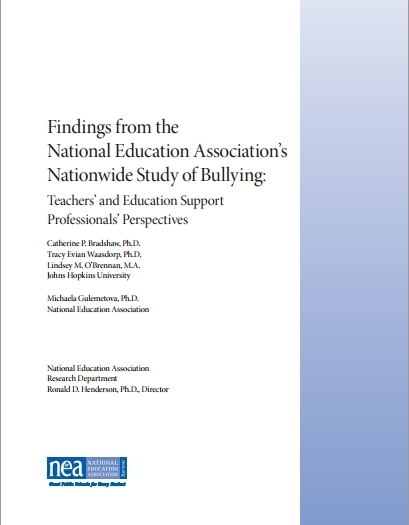 Sets Training Requirements For School Employees to Help Identify and Prevent Cyberbullying The law sets training requirements for current school employees, as well as for new teachers and administrators applying for a certificate or license, on the identification and mitigation of harassment, bullying, cyberbullying and discrimination. The new law goes into effect on July 1, 2013. 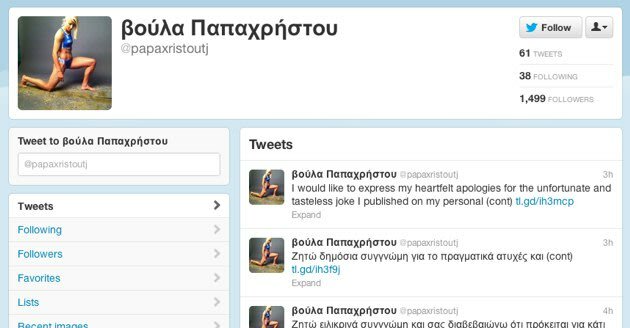 Athens, Ga. – People love social networks. That's the obvious conclusion from Facebook's 900 million active users and its current standing as one of the most visited sites on the web, second only to Google. New research from the University of Georgia finds what people may really "like" about social networking are themselves. "Despite the name 'social networks,' much user activity on networking sites is self-focused," said Brittany Gentile, a UGA doctoral candidate who looked at the effects of social networks on self-esteem and narcissism. 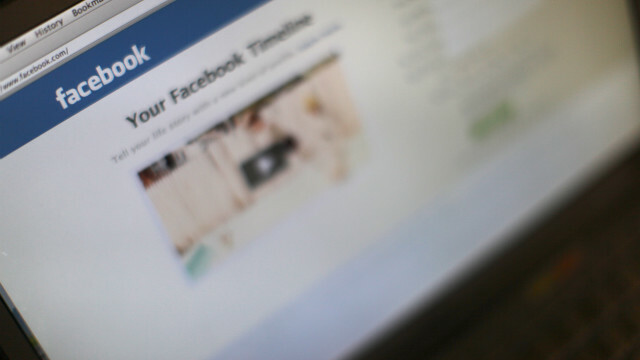 According to the research, published online this month by the journal Computers in Human Behavior, the 526 million people who log on to Facebook every day may be boosting their self-esteem in the process. Gentile, along with UGA psychology professor Keith Campbell and San Diego State University professor Jean Twenge, asked college students to either edit their social networking page on MySpace or Facebook or to use Google Maps. Those who edited their MySpace page later scored higher on a measure of narcissism, while those who spent time on their Facebook page scored higher on self-esteem. "Editing yourself and constructing yourself on these social networking sites, even for a short period of time, seems to have an effect on how you see yourself," said Campbell, who heads the department of psychology in the UGA Franklin College of Arts and Sciences and co-authored the book "The Narcissism Epidemic: Living in the Age of Entitlement." "They are feeling better about themselves in both cases. But in one they are tapping into narcissism and in the other into self-esteem." MySpace reported 25 million users as of June 2012. MySpace users participated in the experiment in 2008, when the site had 115 million active users. Facebook users participated in 2011. On both MySpace and Facebook, students scoring higher in narcissism reported having more friends on the site. A total of 151 students, ages 18-22, completed the Narcissistic Personality Inventory as a part of the study. "The NPI measures trait narcissism, which is a stable personality trait," Gentile said. "But spending 15 minutes editing a MySpace page and writing about its meaning was enough to alter self-reports of this trait, suggesting that social networking sites may be a significant influence on the development of personality and identity." The differences in site format may be one reason why MySpace led to higher narcissism whereas Facebook merely produced higher self-esteem. "The two sites operate differently," Gentile said. "On MySpace you don't really interact with other people. The pages resemble personal webpages, and a lot of people have become famous on MySpace, whereas Facebook has a standard profile and a company message that sharing will improve the world." Several previous studies found increases over the generations in both self-esteem and narcissism. These new experiments suggest the increasing popularity of social networking sites may play a role in those trends. "Social networking sites are a product and a cause of a society that is self-absorbed," Campbell said. "Narcissism and self-esteem began to rise in the 1980s. Because Facebook came on the scene only seven years ago, it wasn't the original cause of the increases. It may be just another enforcer." Social networking should not be seen as an answer to building self-esteem, he said, but the fact that people may get a jolt when logging on doesn't mean they should stop either. "Ideally, you get self-esteem from having strong relationships and achieving goals that are reasonable and age-appropriate," Campbell said. "Ideally, self-esteem is not something you should take a short cut to find. It is a consequence of a good life, not something you chase." For the full research article, see http://www.sciencedirect.com/science/article/pii/S0747563212001409.